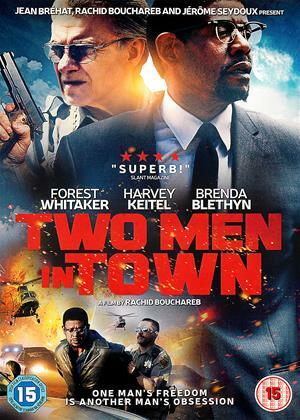 Ellen Burstyn, Forest Whitaker, Harvey Keitel et al. After a troubled youth and a long stretch of 18 years in prison, William Garnett (Forest Whitaker) is being released. With the help of an idealistic parole agent (Brenda Blethyn) and his new-found Islamic faith, Garnett struggles to rebuild his life and overcome the violent impulses which possess him. However, Bill Agati (Harvey Keitel), the vengeful Sheriff of the small New Mexico border county where Garnett is released, has other ideas. Convinced that Garnett is unredeemable and is a threat to the security of his county, Agati launches a campaign to return Garnett to prison for life. How far will he go? See Ghost Dog, to see Forest do the moody/quiet thing under Jim Jarmusch. One of these slowly-slowly jobs, so not to everyone's taste. Direct Line Landlord insurance guy does his day job in this one.